What little fellow wouldn't love to command a pirate ship and crew in search of buried treasure? The mystery that makes pirate books and movies such hits with kids is captured in the Caribbean pirates personalized Christmas ornament featuring splendid details and flying the skull and swords. 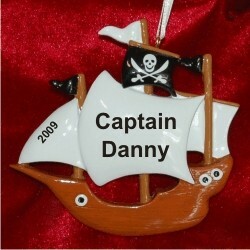 These quality kids ornaments personalized by hand begin with a hand-carved mold reproduced in resin to last a lifetime. 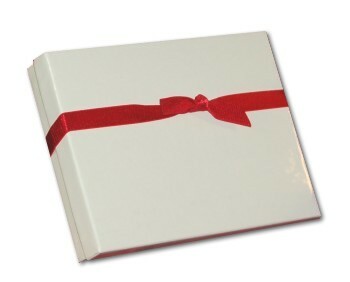 Your purchase arrives in our custom velvet gift bag with a display cord already attached. Surprise your young Blackbeard or Jack Sparrow with the Caribbean pirate ship personalized Christmas ornament and watch his face light up!